Interlocking blocks are set to boost the construction of low cost homes in Kenya, as builders embrace the technology that cuts building costs by 60 percent. Building technologies expected to revolutionise the construction of low cost housing are coming up, with new breakthroughs now offering up to 60 per cent cost reduction. Makiga interlocking blocks are set to revolutionise the construction of low cost homes in Kenya, as more builders embrace the innovative technology that lowers building costs by 60 per cent. The te? It is of paramount importance when building your home, paving roads, building for others or even when thinking about to generate income; to acquire a stone crushing machine. This will make the work? The Kenyan manufacturing firm Makiga Engineering Services Limited is highlighting Kenya on the African map by covering more than 20 countries and even beyond this continent. Having started more tha? A Jaw Crusher is one of the main types of primary crushers in a mine or ore processing plant. The size of a jaw crusher is designated by the rectangular or square opening at the top of the jaws (fe? Real Estate is undoubtedly the most lucrative industry in Africa. You do not need millions to invest in this booming industry, rather, a keen eye to observe and analyse well: Like the industrialist? From the UN Habitat, international organisations that support environment as well as bodies uniting construction engineers advocate the use of the carbon-saving Interlocking Stabilised Soil Block [? Website for Project Riandu which will see a school for 200 deaf teenagers built in Mbeere Kenya. Makiga Engineering Services Ltd is a private sector company committed to offering low cost, eco friendly and durable construction using appropriate building technologies. 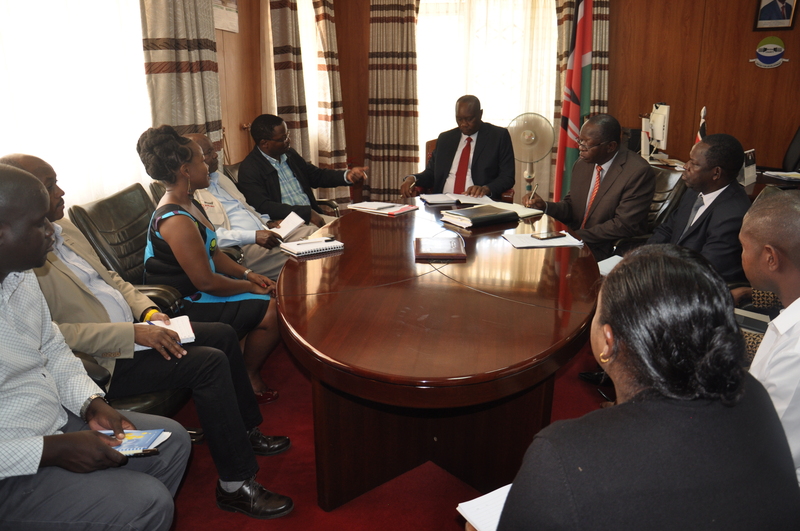 Amref Health Africa in Kenya is working closely with the County Government ?